DePauw’s campus will undergo several developments in the coming years including renovations to first-year residence halls, Roy O. West Library, and upperclassmen living units, according to Vice President for Finance and Administration Bob Leonard. 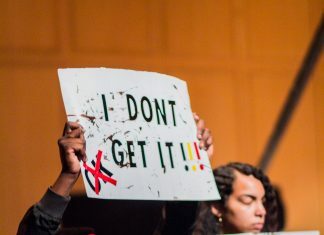 This is despite a current university debt of $110 million, according to numbers shared at the Feb. 4 faculty meeting, eliciting concerns from some faculty members. The full renovations of the first-year dorms are expected to cost between $80 and $100 million, said Leonard. While the design is still being worked on, construction of a new first-year residence hall is expected to begin this summer and will be completed before students return in the fall, said Leonard. The hall will be built on the corner of E. Olive St. and S. Locust St., where a faculty parking lot currently resides. After that, each first-year dormitory will be demolished and rebuilt, starting with Hogate Hall. The process of completing first-year residence hall renovations is expected to take three to four years, he added. Renovations to Roy O. West Library will begin within the next two years, and will be worked on alongside the first-year halls, said Leonard. “We want to use that time to make certain that we’ll have the best option for a 21st-century library,” said McCoy. Leonard added that upperclassmen housing renovations to Mason Hall, Lucy Hall, Rector Village, and the west duplexes are also in the works, but did not give any specifics. The first-year residence halls are the primary focus. According to Leonard, funding for these projects will come from three major sources: fundraising, withdrawing from the endowment and borrowing. He claimed that fundraising is the best option, but it can be difficult to predict, as there are conversations with donors happening now that could lead to funding for part of one building, the whole project, or anything in-between. The administration launched a recent campaign that raised nearly $80 million in pledges for general purposes, which Leonard defines as money gifted by donors that will not be available for some time. Withdrawing from the endowment is another way to fund construction projects. However, according to Leonard, over the last several years, the university has been withdrawing more than the standard 5 percent. “We invest very heavily in the student experience, which takes precedent even if it’s going to cause some short-term pain to the endowment,” said Leonard. He added that while DePauw may not be the most efficient school with regards to spending, the administration has been evaluating their spending habits and believes spending can be more resourceful moving forward. Despite the $110 million debt, Leonard says borrowing money is still an option to fund construction projects. He claims that there are a handful of guidelines such as the debt burden policy that have been implemented to make sure the university is in a safe place to borrow. However, Richard Cameron, associate professor of philosophy and member of the university’s strategic planning committee, said that last fall during a faculty meeting, faculty were told that if DePauw chose to fund residence hall construction through loans, it would fall into “terrible” financial status. He added that the board of trustees approved the use of loans to fund the first-year dormitories.